A HUGE increase in value for fewer bucks is waiting for you! Thanks to having two alternating stages available at the new venue, you will be able to enjoy 21 shows on the fairgrounds from Friday to Sunday instead of just the 11 performances that you enjoyed in 2017 or the 8 performances in given previous years! And you will get this for lower ticket prices! This year there will be a special treat for you to look forward to: Zydeco squeezebox master Dwayne Dopsie will play a 'mano a mano' show with famous Panamanian accordion master Osvaldo Ayala on the main stage on Friday, Feb. 23. An event not to be missed! 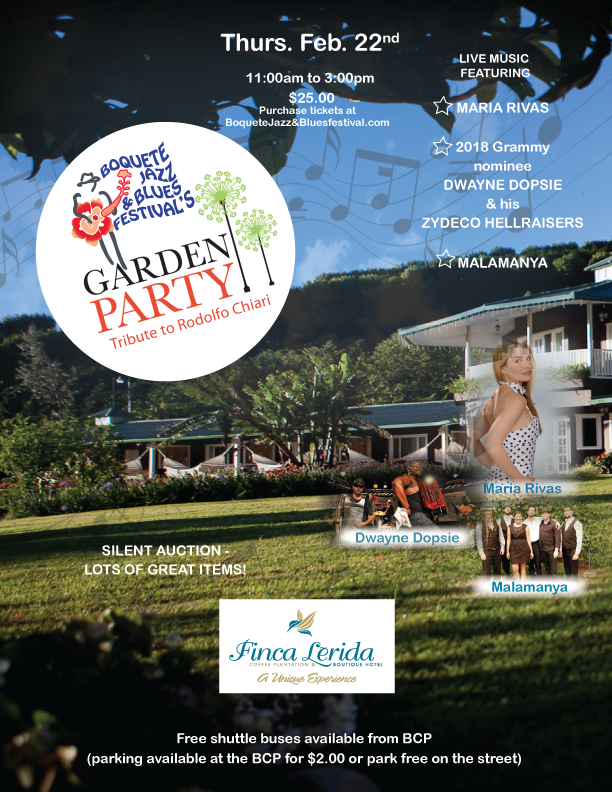 The festival will kick off with our traditional garden party in a new venue at Finca Lerida, a beautiful high-class hotel and coffee farm situated high in the mountains about 7km beyond downtown Boquete. There will be performances by Maria Rivas, Malamanya, and Dwayne Dopsie, plus two folkloric presentations. Shuttle bus transportation will be available. Note: The garden party will be held this year in honor of, and as a tribute to, the late Mr. Rodolfo Chiari for his most generous support of Jazz music in New York City. 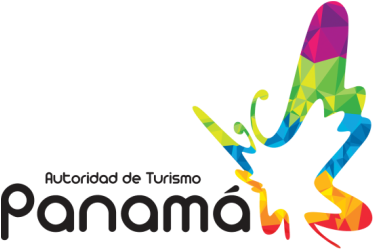 Mr. Chiari, who passed away only recently, came from one of Panama's most important families. Friday Breakfast - 9am to 1pm mimosas, bloody Marys and an open mic at Restaurante Baru. Our famous and always packed jam sessions are scheduled for Friday night (Restaurante Baru), Saturday night (Hotel Ladera) and Sunday night (Mike's Global Grill). Keep watching this page, future newsletters and our facebook page, or join our facebook group for more details and admission prices. Party animals listen up: For all those who just can't get enough, there will be after hours parties at the Boquete Brewing Company starting at 12:30am. There will be no cover charge! BJBF is not just about music. As in the years before there will also be displays of the figurative arts with exhibits by Maria Rivas, Al Sprague and others. In addition, we are very pleased to announce that the world-famous Panamanian painter Olga Sinclair has agreed to work with up to 200 children on the fairgrounds on Sunday morning, Feb 25! The 2018 program includes a performance by local students on the side stage at 10 am on Sunday, Feb 25. More details will be published later. For viewing the booklet in full screen mode please click on the square in the lower right corner of the image above!